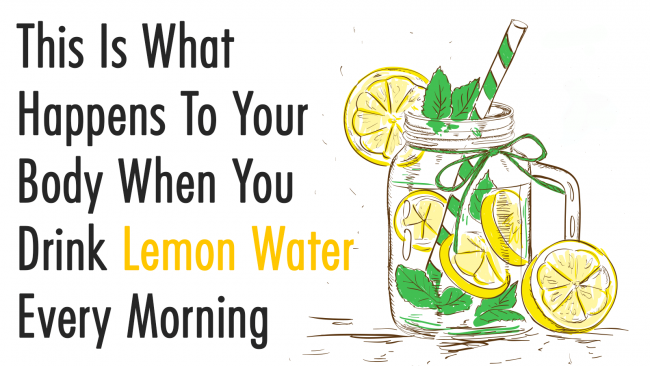 Lemon water is probably the most beneficial drink one can consume in the morning. This refreshing beverage offers countless health benefits, and is very simple to prepare: just squeeze half a fresh lemon in eight ounces of lukewarm water. Additionally, lemons are abundant in vitamin C, magnesium, copper, and potassium. Lemon water fights inflammation and fortifies the immune system. It treats common colds and the flu and relieves infections. The regular consumption of this drink will accelerate digestion and prevent any digestive issues. Lemon water will help you destroy bacteria in the mouth that actually cause bad breath. Lemon water detoxifies the liver and contributes to better overall health. Lemon water will ease the symptoms of a hangover after a night of excessive alcohol consumption, and keep the body hydrated. Lemon water increases the metabolic rate and keeps you full, so it will help the weight loss process. The habit of drinking lemon water will make the skin healthy and clear, and fight acne. Therefore, start drinking lemon water and reap all these benefits in a refreshing and tasty way!